Surgeons often need to review X-ray or ultrasound images during a medical procedure. Currently, medical staff must either re-scrub after interacting with the images, or direct a person outside of the room to manipulate the images. Both are inconvenient, and leave room for error and cross-contamination. The solution is a touch-free medical image viewer interface situated within the operating theatre. OpSAFE allows medical staff to use natural hand movements to easily navigate and manipulate medical images, while keeping their gloves sterile. This reduces the risks associated with current practice, while giving the surgeon instant control of the image when time can be crucial. It can also communicate with the hospital PACS system or directly with a scanner to allow near real-time retrieval of images. This means that fluoroscopy or interventional CT images can be reviewed as they are acquired. The system is based on the CE-marked version of the open-source DICOM image viewer, Osirix, together with the LEAP motion sensor. The following video shows the system being used in real time. We believe this demonstrates how intuitive and responsive the OpSAFE system is, which is a major failing of other systems. Dr Libby Oakden, Senior Business Manager at UCLB, has been working closely with Dr Navin Ramachandran from the Department of Radiology in University College London Hospitals Foundation Trust (UCLH) to develop a strategy on how best to minimise time to market, while addressing relevant regulatory and technical hurdles. Dr Oakden has sourced regulatory and software consultants to ensure that a CE mark can be achieved quickly. CE-marking the OpSAFE system as a medical device will enable it to be sold within the European Economic Area for medical use. UCLB has supported this project through UCL Hospitals Biomedical Research Centre and UCLB Proof of Concept Funding. Dr. Navin Ramachandran, Simon Pargeter. Dr. Navin Ramachandran, Dr. Andrew Plumb, Dr. Steven Bandula. UCL Business PLC (UCLB) is a leading technology transfer company that supports and commercialises research and innovations arising from UCL, one of the UK’s top research-led universities. UCLB has a successful track record and a strong reputation for identifying and protecting promising new technologies and innovations from UCL academics. 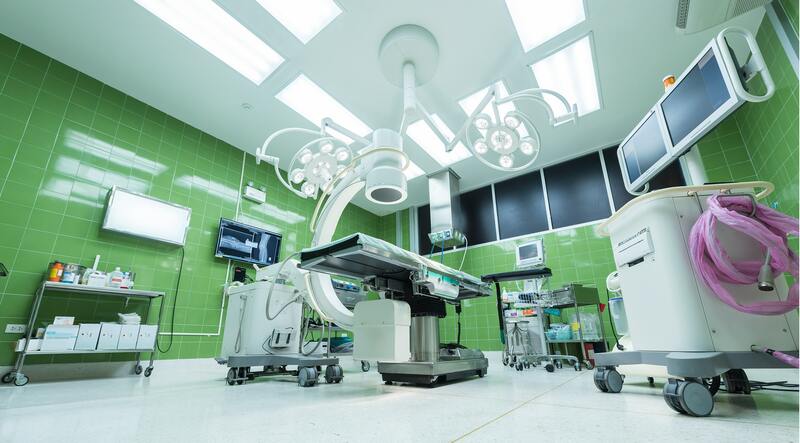 UCLB has a strong track record in commercialising medical technologies and provides technology transfer services to UCL’s associated hospitals; University College London Hospitals, Moorfields Eye Hospital, Great Ormond Street Hospital for Children and the Royal Free London Hospital. It invests directly in development projects to maximise the potential of the research and manages the commercialisation process of technologies from laboratory to market.